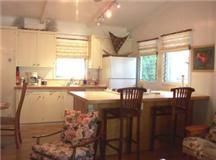 2 bedroom, 1 bath home with full kitchen and laundry facilities. 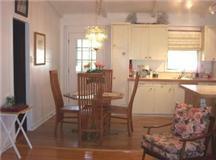 Free local calls and wireless internet access. 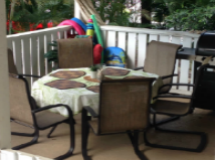 While staying at our home you may borrow our coolers and beach chairs. All you need to bring is your personal items. On the day of arrival you will be greeted by one of our agents. If an agent is not available your key will be in a lock box. Information will be provided on location and the code. You will receive a welcome basket with some goodies to start off your stay. 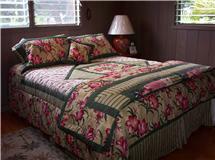 Our home is located on Ali'i Dr about 1 mile south of Kailua-Kona town. 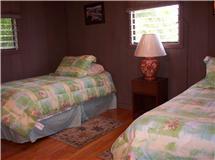 It is walking distance to Honl's beach with Kahalu'u beach (snorkel beach) about 4 miles away. We have a travel agent on site who is available as your personal concierge. There is a coffee shop serving fresh Kona Coffee, smoothies and a wide selection of sandwiches and bagels. Rates do not include tax, property damage insurance, security deposit and cleaning fees. 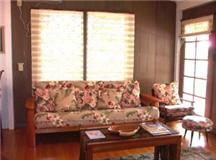 Three (3) night minimum stay unless otherwise noted. Subject to one time departure cleaning fee of $125.00, $300 damage deposit (refundable within 14 days of departure) and Hawaii state tax. $15 per night plus tax for each additional adult over two (maximum 6 people). 50% of rental fee due upon confirmation, balance due sixty (60) days prior to arrival. Full deposit refunded if reservation is cancelled sixty (60) days prior to arrival. Cancellation penalties will apply for cancellation within sixty (60) days of arrival.